Danacable again teamed up with Audiophile-Direct and Wells Audio to rave reviews by Jason Victor Serinus of Stereophile and Home Theater Shack. 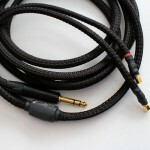 We also conducted an A/B demo comparing stock cables for headphones and Danacable Lazulis. This demo marked the world premiere of the DanaTone™ Head-Space headphones amplifier and the Lazuli Reference cable, both of which garnered kudos from Steven Rochlin and Dave Hanson of Enjoy the Music. 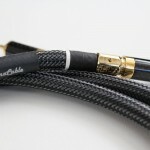 As captured by AV Showrooms, we conducted an A/B cable demo that compared stock cables for headphones vs. Danacable Lazulis.